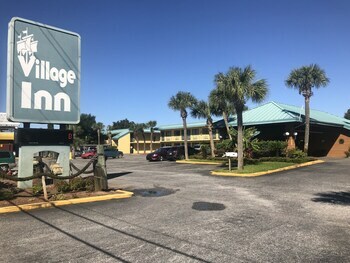 Nice friendly staff , easy check in , very clean, very comfortable bed, very good and tasty breakfast , excellent location close to everything, can't say enough good things ! Would definitely stay here again ! It’s walking distance to the beach It wasn’t clean. The room wasn’t comfortable at all. Staff wasn’t that friendly . Breakfast completely sucked . Loved it! Super cute room, water view could watch dolphins from our room. 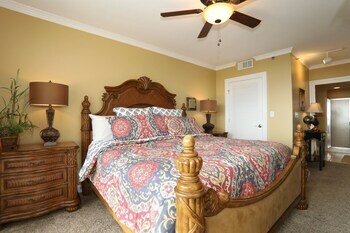 Room was perfect, resort had everything we needed. Right on water. Very pleased. Stellar Service at The Salamander Excellent location and property is beautiful. Outstanding customer service! Nice hotel close to the beach, but I am very unhappy with the breakfast choice. Friendly and helpful staff. My kids and I loved the hot tub! Good breakfast. Staff was friendly! 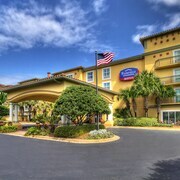 Located in downtown Destin, this 5-story inn overlooks Destin Harbor, East Pass, and the Gulf of Mexico. 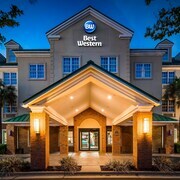 It's great beach stay. The harbor view is the best view. Travel is invaluable, but cheaper is always better! 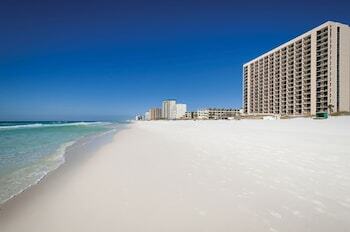 Isn't it time you treated yourself to a thrifty getaway to Destin? This city is about 130 miles west of the capital of Florida, Tallahassee. 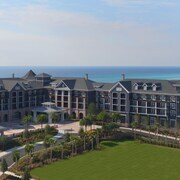 Destin is also 7 miles west of Miramar Beach. 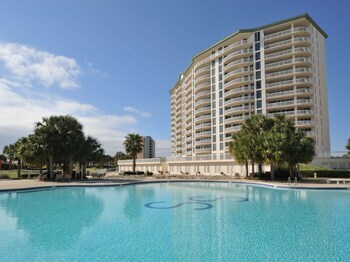 This area of Fort Walton Beach - Destin is home to approximately 12,000 residents. The US Air Force Armament Museum isn't far away from the center of this destination (and what's best — it's free!) Get there and examine the exhibits; there's nothing like exercising your brain while saving your dimes. Add a bit of play to your stay at Morgan Sports Center. This boredom-busting attraction is an awesome way to cure your craving for outdoor fun. Don't go crazy carefully organizing every single aspect of your journey. Destin Harbor Boardwalk is ideal for those visitors who'd prefer to just stroll around without a plan. Walk through impeccably landscaped terrain and delightful plant displays at Liza Jackson Park, Oak Tree Nature Park and Jolee Island Nature Park. Nothing can compare to spending some time with Mother Nature, particularly when it doesn't cost a penny! 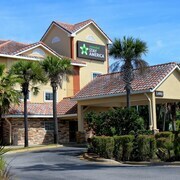 Don't let any unfounded fears of having to squeeze into a cramped, budget motel deter you from going on that amazing adventure. When you organize your travels with CheapTickets, you won't have to spend too much money or give up quality. With 500 airlines and around 500,000 properties all over the world, you can have confidence that we can hunt down the greatest deals on the market. But it doesn't end there! 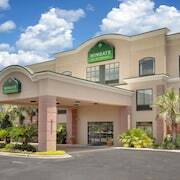 When you combine your hotel and airfare bookings, you can save as much as $481. You'll always go home with the cheapest deal — it's our guarantee. At CheapTickets, we'll refund the difference if you find your vacation deal for a lower price within 48 hours of making your booking. That's our Price Guarantee. Sensational deals and satisfying rewards — it really doesn't get much easier on your budget than that, does it fellow cheapster? Just book your flight with us and you'll save heaps on your next eligible CheapTickets hotel booking. 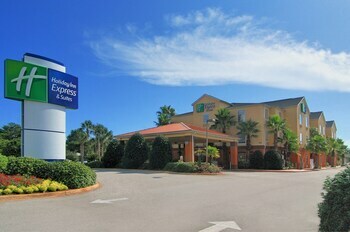 Super-thrifty savings on all eligible bookings — check! Bonus offers and perks as far as the eye can see — check! All you need to do is log in or sign up for free, join CheapCash and take advantage of the benefits! 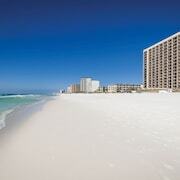 We know you're fond of cheap, so why not get yourself a rental car in Destin? It's not only an ideal way to travel around, it'll save you cash too. After you've exited the cabin at Northwest Florida Regional Airport, you'll be able to pick up a car right outside the terminal. Drop by Budget and Enterprise. They're just moments away. Two other similar options are Dollar Rent A Car and Avis. There's no need to worry about finding an inexpensive place to crash. 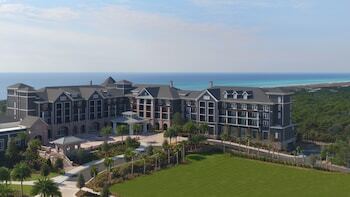 CheapTickets lists 72 hotels in Destin. Line up your room right now for all the best deals around. 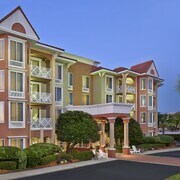 Your Destin journey doesn't have to cost an arm and a leg when you reserve low-priced accommodations like the Leeward Key Condominiums by Wyndham Vacation Rentals and the Destin Inn and Suites.